You are here: Home / Support / Fundraisers / Eat @Panera. Support BCS! 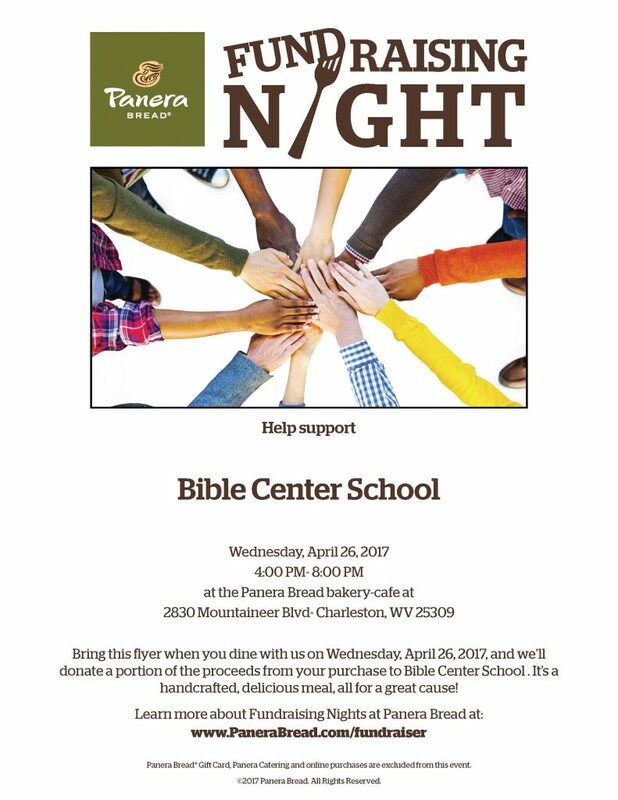 Bring this flyer when you dine with us on Wednesday, April 26, 2017, and Panera Bread will donate a portion of the proceeds from your purchase to Bible Center School. It’s a handcrafted, delicious meal, all for a great cause!